Chelsea have been linked with Juventus duo Higuain and Rugani all summer as Sarri seeks to strengthen the squad ahead of the new season. Both transfers are apparently close to fruition and would cost the Blues £90 million according to Sky Sports reporter Kaveh Solhekol. The reputable reporter revealed that Chelsea are getting close to signing Rugani as he is seen as a long-term replacement for Cahill. Solhekol also claimed that Sarri wants the deal done quickly as he is keen on working with the 23-year-old defender. As regard Higuain’s deal, Solhekol said that the transfer fee of £50 million is the major snag in the transfer. Abramovich is not willing to sanction such a huge fee for a player in his thirties and can only make such investment if Morata leaves the club this summer. “They are getting closer and closer to Daniele Rugani. Juventus are asking for around £40m for the central defender,” Solhekol said. “Chelsea see him as a long-term replacement for Gary Cahill and David Luiz. “Gonzalo Higuain is one of their top targets but Juventus want £50million – even though he’s 30. 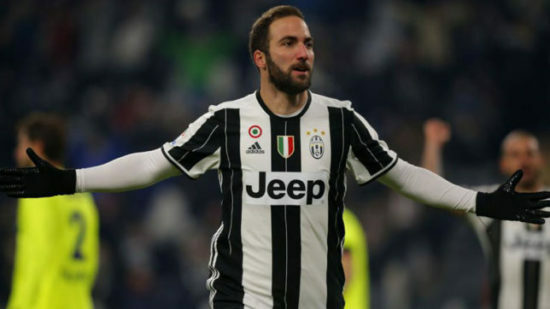 “New Chelsea head coach Maurizio Sarri knows Higuain well from his time in Italy “Juventus are willing to sell Higuain after signing Cristiano Ronaldo. Chelsea would receive a major transfer boost if they can complete the double deal as this would lay a marker to the rest of the league. Higuain despite his age and value would give the Blues a short-term lift badly needed as he is a proven goalscorer. Rugani would also thrive under Sarri and could be the next John Terry of Chelsea if he can fulfil his youthful promise.